Regular cleaning is the best way to keep your patio furniture in pristine condition. For best results, clean at least once when summer rolls in, and once more at the end of summer: in the cold season store furniture indoors to prevent weathering and staining. 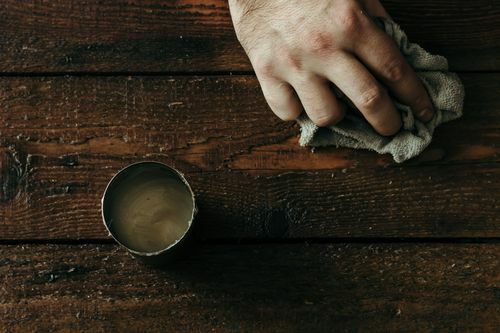 When cleaning redwood, cedar, or pine, scrub the surface with a soft scrub brush using a special type of wood cleaner and make sure to follow directions on the container (and wear protective clothing). To maintain the quality of wood, use warm water and mild oil-base soap. You can also mix up a DIY cleaning solution using 2 tablespoons white vinegar, ¼ cup ammonia, and 1 quart warm water. When using commercial wood cleaners, follow instructions carefully and remember to dilute before cleaning wicker and painted wood. To restore hardwood after years of neglect, start by sanding and then apply a coat of protective finish (oil, stain, or polyurethane). In the dry season, hose down wicker once in a while to prevent dirt buildup around crevices. A simple wipe-down can be enough to remove dirt, debris, and water stains. Aluminum furniture is almost always affected by oxidation but the good news is, you can use a metal polish paste or an equal amount of white vinegar and water to counter the effects of oxidation. Cleaning products that contain ammonia, trisodium phosphate, and alkaline cleaners have been known to cause oxidation – so avoid when cleaning aluminum. Remove rust by sanding it off, along with fragments of damaged paint, and wipe off the residue with a cloth dipped in naphtha or mineral spirits. A rust-resistant primer should be used before applying rust-resistant paint. Wrought-iron furniture can be sandblasted or powder-coated to enhance protection. After thorough cleaning, apply a coat of automotive wax to protect the metal. 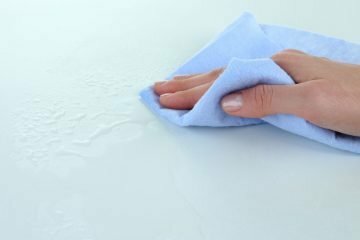 Regular kitchen cleaning solutions are great for cleaning glass furniture. To remove any stuck-on dirt or debris, use a non-abrasive material. Because a scrub brush will scratch the glass, go for a soft but tough material designed to clean hard surfaces without leaving marks. After the first stage of cleaning, spray the glass with white vinegar or glass cleaner and wipe with a microfiber or paper towel. The underside of glass tables should be cleaned at least once a month to prevent a buildup of unsightly grime. To fix small scratches, purchase a glass-repair kit from your nearest automotive retailer. When not in use, cover glass tables. Mix cup washing soda with 1 gallon warm water. Mix 3 tablespoons automatic dishwasher detergent with 1 gallon warm water. 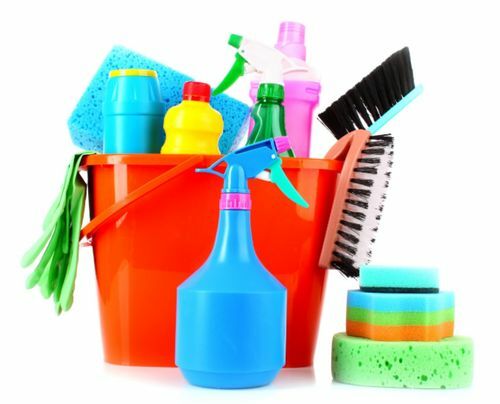 When cleaning colored plastic, use ¼ cup vinegar mixed with 1 quart warm water and avoid products that may contain chlorine and bleach as these can cause your plastic to wear out. To peel away hard stains, sprinkle baking soda on a wet sponge to create a mild abrasive that won’t damage your furniture. After cleaning, apply a coat of automotive paste wax on plastic furniture. The average commercial cleaner is too abrasive to use on resin lawn furniture. For this reason, you may have to look elsewhere for the perfect cleaning agent. Baking soda makes a great cleaner when sprinkled on a wet sponge. For the best effect, clean using small, circular motions, then make sure to rinse properly. 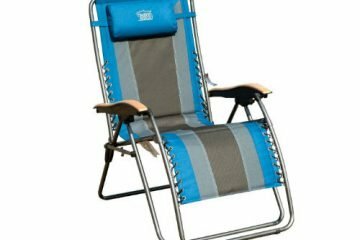 If your plastic-mesh lawn furniture takes on a dingy look after several months without cleaning, try washing with some mild detergent. Mix cup bleach with 1 gallon water and rinse well, and then air dry. Store a good amount of full-strength white vinegar inside a recyclable spray bottle and use it whenever you spot mildew growth. It will wipe out stains from most surfaces and the vinegar will keep it clean for a while. 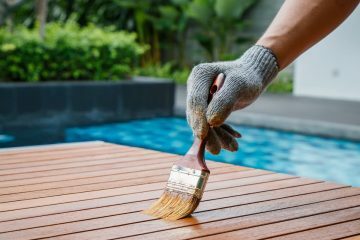 To remove mildew from wood patio furniture, sponge it off with a solution of 1 cup ammonia, cup white vinegar, and ¼ cup baking soda mixed in 1 gallon water. You can use a toothbrush to work the solution into tight corners and small spaces. To prevent mildew growth and deodorize outdoor plastic mesh and patio umbrellas, add 2 cups white vinegar and 2 tablespoons liquid dish soap in about a gallon of hot water. 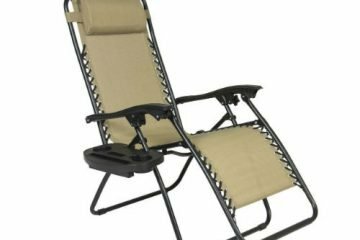 Using a soft-bristled brush, work it into every inch of the furniture including the grooves of the plastic, seat pads, and umbrella fabric. When finished, rinse properly with cold water, and then leave it to dry in the sun. One simple way to bring back color and shine to your plastic furniture is to spray WD-40 directly onto the surface and then wipe clean with a dry cloth. WD-40 is a penetrating oil and water-displacing spray that will work for most plastic materials. To clean removable covers, remove all fabrics and follow machine washing instructions as highlighted on tag. 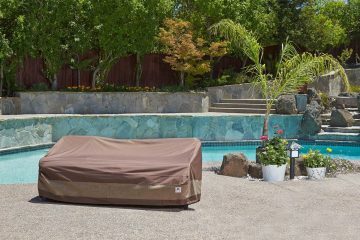 If possible, put covers back on cushions while still damp and allow them to dry on. Fabric should be allowed to dry in place to minimize shrinkage and creases. For colored fabric, soak in diluted non-chlorine bleach or clean in washing machine. 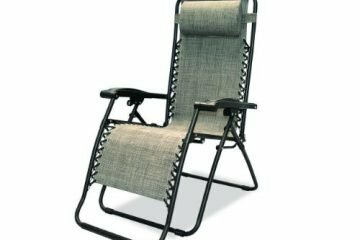 Regardless of the kind of weather you’re having, all your outdoor furniture is exposed to the elements on a daily basis and after a period of time it starts to damage even the toughest iron or plastic. 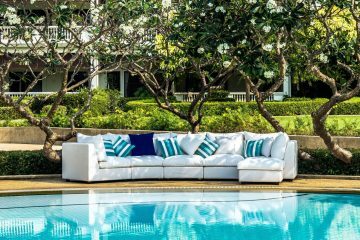 These tips will help guide you in cleaning some of the more common materials on your outdoor furniture, but in case one of the solutions doesn’t work, you can always refer to the manufacturer for cleaning instructions or the best combination of solutions.